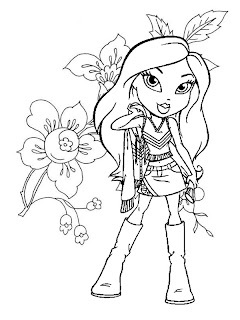 Here are four more coloring pages of Bratz - I hope you like them - they are really cute and pretty. there's even a coloring picture of a Bratz in her pyjamas ready for a sleepover. Click on which coloring page you like best and it will open full size - then print it.